Organic chick peas in a tin. A good source of protein, iron, magnesium and rich in dietary fibre. No added sugar or salt. Allergy Information: No Gluten, No Wheat, No Dairy, No Meat, No Nuts, No Celery, No Onion, No Fish/Crustacean, No Egg, No Soy, No Mustard, No Sesame, No Sulphur Dioxide, No Yeast included in the listed ingredients. Suitable for Vegetarians. Suitable for Vegans. The delivery charge (if applicable) is based on the weight of the parcel and is displayed when you place an item in your cart. You do not need to register or log in to do this. Further information can be found on our Postage & Packaging page. 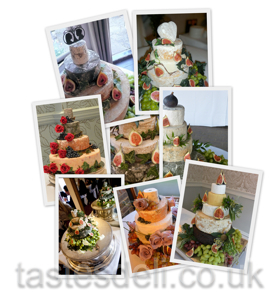 Copyright © 2006 - 2019 Tastes Ltd. 92 High Street, Eton, Windsor, Berkshire, SL4 6AF.